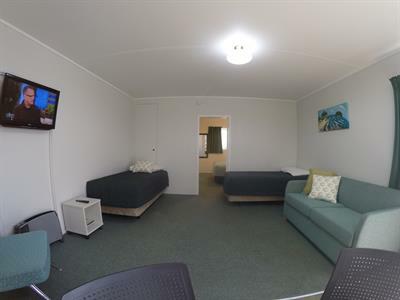 Our Self-contained Units are the ideal choice when you want all the comforts of home. 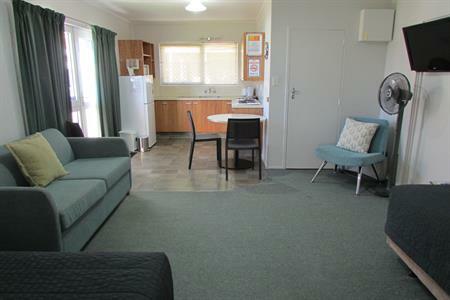 This Unit has one large open plan living/dining area with kitchen , a separate bedroom and bathroom. 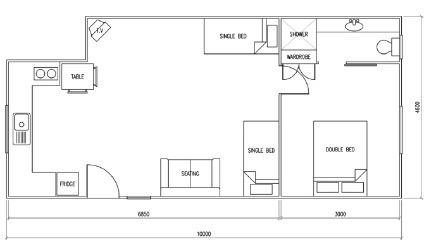 There are two single beds in the main living area and a queen bed in the bedroom. All beds are made up with full linen. The bedroom also has bedside tables, reading lamps, a mirror, wardrobe and a set of drawers for your belongings. There is a kitchen at one end of the open plan living room, fully-equipped with a microwave, a cook top and a fridge/freezer. There is also a toaster, electric jug, pots, electric frying pan, crockery and cutlery. Tea towels and dishwashing liquid are provided. Your living/dining area also has an LCD colour television with Freeview, a dining table and chairs, and a queen sofa bed. Your bathroom has a shower and toilet. 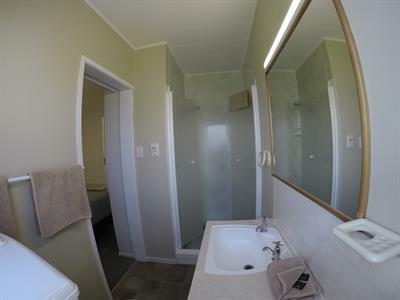 This bathroom is only accessible via the main bedroom. One set of bath towels, hand towel and bathmat are provided. Please bring your own flannels, and swimming towels for the pool and beach. 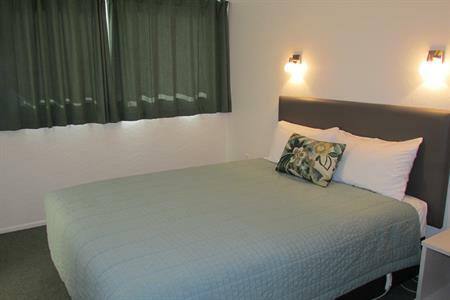 This Unit is not serviced during your stay, however you can use our park laundry to wash towels and sheets during your stay as you require. RELAX IN OUR HOT TUB FREE OF CHARGE!